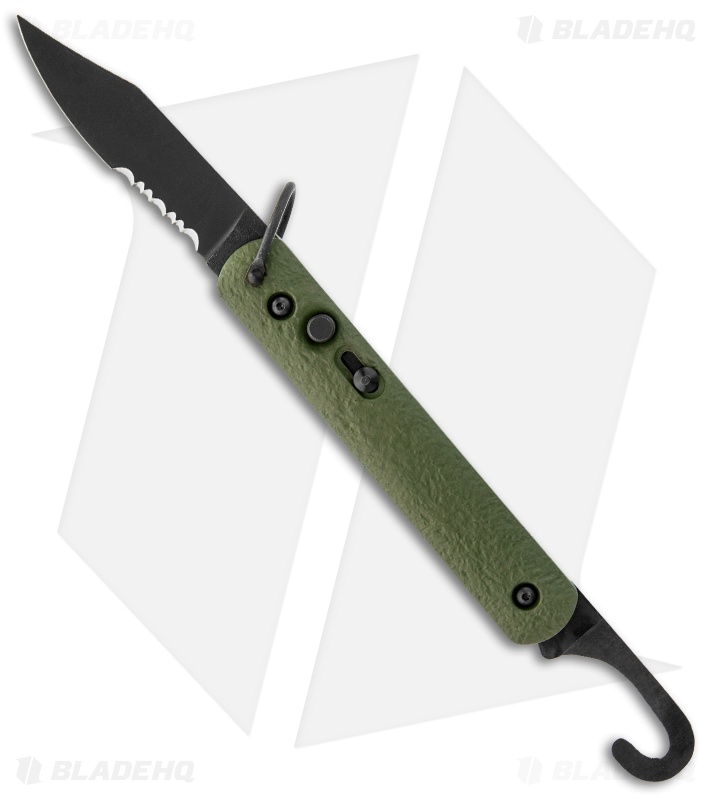 Automatic Rescue/Parachute Knife by Colonial Knife Company. The M-726 features a rescue hook and an automatic blade with a partially serrated edge. It is made for use in emergency survival conditions. The M-726 consists of a hook belt cutter blade on one end and an automatic blade on the other end. The blade is opened by a release button and held in place with a slide lock while the rescue hook has a nail nick for opening. The steel is 1095 HC and the handle is green ISOPLAST with sliding safety. I just received this knife today and am happy so far. The knife seems well constructed, yet light. 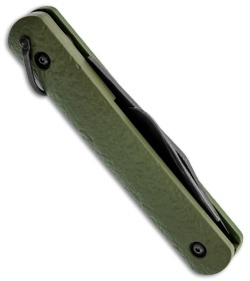 The spring provides plenty of snap, lock up is good, and the blade is very sharp. The finish on the blade and furniture is even and well done. I am going to EDC this knife. For 50 bucks you get a solid knife and a lifetime warranty; how can you go wrong?